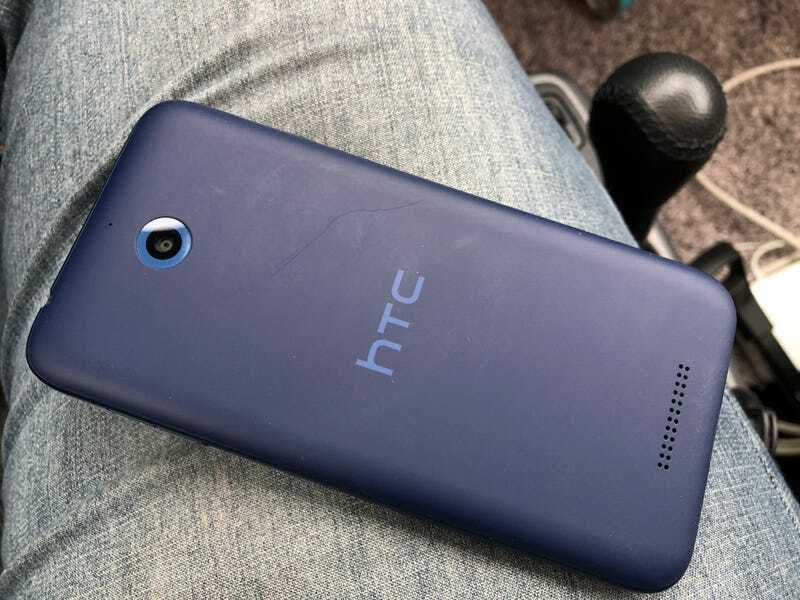 This is the HTC Desire 510. As far as smartphones go, it’s an old Kia Sephia beater. It’s not competitive, completely forgettable, but will still do most of what you need it to do. I purchased this phone for $10. It was stuck in an infinite Recovery boot loop. It couldn’t even attempt to boot the main system, which appears to have been completely corrupted. It wouldn’t even detect the MicroSD. It was the perfect dead phone. First up, lets do some Fastboot. I was lucky enough to discover a functional Fastboot, so I went on ahead and unlocked the bootloader. With the unlocked bootloader I was able to flash a TWRP recovery. Once in the recovery I tried to write a custom rom to the SD card but as a plot twist, every write bombed out. Heh, this phone isn’t going to beat me. Put the SD into my Samsung SM T210R, transferred the custom rom then put the SD back in the HTC. Installed rom, now rebooting. *Does some Googling* Wait a minute, no SD reading on stock based custom roms and no cameras on AOSP roms? On a phone that only has 1GB of usable flash storage? I shut down phone, then tried to enter Recovery...recovery boot loop. Uh...okay then. I try to boot normally. The normal boot succeeds but just about every critical service fails at the same time rendering the phone useless. Hmmm...okay...Let’s try recovery again, this time it works. Factory reset, reboot. Phone works for all of 5 minutes before the services start collapsing. Got Recovery to work again, flash new custom rom...It performed no better than the previous rom. I think it’s somewhat clear that even “stable” roms for this thing aren’t any better than just leaving it stock and possibly rooted. Alright then, so we’re going to reboot now. Oh look, Recovery boot loop. Huh, normal boot doesn’t work either. It got back into the infinite boot loop it was in before. Well, at least I replicated how it originally happened. No big deal, I just followed the steps over again, this time instead of installing a rom I just restored from a backup of a stock rom I found on XDA. I decided to root it anyway because eh, I have nothing to lose. Turned it on and success, it works like a normal phone without any issues! It reboots, it has a working SD slot, and has the benefits of a rooting. Sweet. Now, these phones aren’t worth anything so I’d be lucky to break even. This phone was just a fun project to get my mind off the depressing things in life. I think it’s going to replace my Samsung Tablet as my in-car system. The SD card has 16GB or so of sweet tuneage. In other news, I had to call 911 for the first time ever last night. Response time was 20 minutes despite there being two police stations within 10 minutes of me. *smh* Oh and the police did nothing for the emergency despite the “go directly to prison” felony I witnessed. The guy involved simply got sent home. How in the world did our county get on Live PD with such an unhelpful department is beyond me. Bonus: Here’s an Evo 8 that’s in surprisingly good condition for being in Illinois. And my totally safe fix for my broken sandals, staple gun baby!